Camps are the ideal activity to keep children entertained during long holidays. It provides an opportunity to develop self-confidence, self-esteem and provides social experiences that are vital to development. Most camps of this sort are geared towards a specific niche. In the USA children’s camps form an integral part of the growing up process. Camps are held for a variety of age groups and can incorporate anything from outdoor activities to arts and crafts. The counsellors and guides are capable and trained to interact with the children and to assist them in broadening their horizons and reaching their full potential. Bike riding trails are used in Poulsbo camps as an activity that excites and develops a sense of confidence in young individuals, many of whom have never dreamed of riding a bike before. 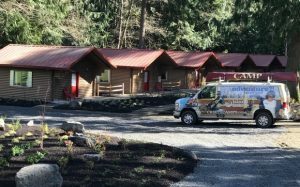 Island Lake Camp in the Poulsbo area is possibly the only camp of its kind that offers the experience. Each year thousands of eager youngsters are introduced to the world of riding dirt bikes and for a significant percentage, it is the first time. The sport provides adrenalin and excitement while still requiring astute attention and concentration. Fun is not left out of the equation. This is the time for children to get away from the televisions and computers and enjoy the outdoors like never. For many parents, the idea of their children racing around through the dirt on a machine that can reach high speeds is not one that they want to think about. At the Poulsbo Camps safety first is something that is taught from day one. Rigorous safety exercises are continuously carried out which has limited injuries to a large degree. Of course, falling goes without saying, however, the fact that most simply get up and keep riding is proof that the well-being of the children is always put first. The most appealing aspect of this concept is that progress can be seen, especially in terms of the confidence shown by the children as they acquire more experience. Riding regularly improves technique, which in turn reveals capabilities that even the child themselves didn’t know they had. They will speed up or take a turn a little sharper and negotiate inclines and declines with a newfound sense of control. New to the sport or a seasoned rider, each has something to learn and take from the experience. Interpersonal skills and leadership are a huge part of the camp curriculum and the bike riding program. Children are encouraged to return to the camp regularly to keep improving on their skills with the professional trainers and to eventually share what they have learned with the newcomers. Seeing how someone like themselves has grown into a confident rider is inspirational for the beginners. There is so much to learn on every level. The encouragement provided by those in the program towards each other is phenomenal and has telling effects on confidence levels. For a clear majority of the children who become enthralled with dirt bike riding it sometimes provides an escape to a place where they can be anything they want to. The experience might even become of a more personal nature. Putting on the helmet transports them to a world where anything is possible.